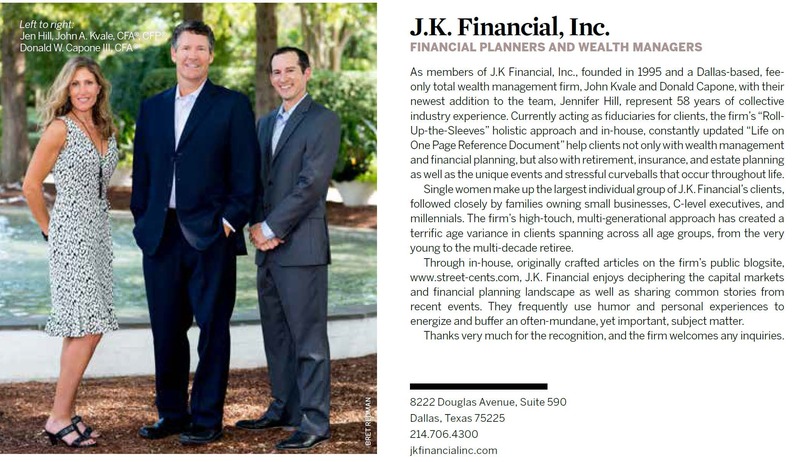 Home | J.K. Financial, Inc.
With relationships more like family than clients, honesty, trust, dedication, anticipation and attention to details form the basis of our relationships. A Fee Only Total Wealth Management Firm Acting as a Fiduciary for Clients. Founded nearly three decades ago by John Kvale, a small-town farm boy, who moved to the city, but continued the close personal values learned through hard work. 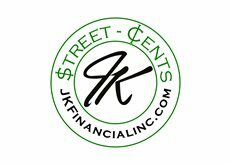 Dedication, discipline, teamwork, honesty and integrity form the core values of J.K. Financial, Inc.
Career driven professionals, business owners, retirees and C level executives. The largest commonality are single women. Whether early in life or retired, our clients share in their Total Wealth Concierge services. With a roll-up-the-sleeves, deep understanding and analysis of every client situation, our long term mutual goal of security and financial longevity frequently spanning multiple generations is achieved. Our Total Wealth Practice and Concierge Services help accomplish these goals in a comfortable manner. With multiple decades of experience, anticipation of obstacles helps provide a smooth experience through life’s inevitable curve balls. We are dedicated to providing comprehensive, long term assistance for every aspect of our client’s life. A high touch, roll-up-the sleeves deep dive on every client situation helps clients experience the Total Wealth Concierge service. Security from the catasropic events as well as regular protection is essential to any comprehensive financial security plan. Establishment and review of Wills, Trusts, and all ancilarry documents as well as Estate Tax Minimization strategies. Assistance in creation, monitor, deciphering, updating or changing the various trusts a client may need or already own..
Strategic Minimization Tactics and Tax Monitoring thoughout each tax year. Raised in Long Island and after spending half of her college years in Pennsylvania and the remaining back in New York. Stay up to date with our latest financial news and events. Subscribe today to our blog.